As crossover SUVs with three rows of seats, the 2018 INFINITI QX60 and Audi Q7 are optimized for families. Available in two trims, the QX60 offers a great combination of luxury and affordability. Overall, this INFINITI model has better value in interior design, active safety and family-friendly amenities. Let’s see how the QX60 stacks up against the Audi Q7. While having significant price differences, both crossover SUVs offer similar interior amenities, such as an automatic climate control system with three zones and heated front seats. Available with heating for the second rows and rear console-mounted cooling fans, the QX60 actually offers much better value in overall interior comfort. Both vehicles have sunroofs that could be easily opened for natural circulation of air and illumination. You don’t even need to spend extra money on genuine leather upholstery in this INFINITI vehicle. Priced at $2,900, the Premium Plus Package adds several high-tech amenities to the 2018 QX60. Featuring an 8.0-inch touch screen, the INFINITI InTouch multimedia system has a navigation system with 3-D maps and four years of complimentary traffic feeds on SiriusXM Traffic. This signature package also includes the InTouch services that provide extra peace of mind on and off the road. For example, the virtual concierge features Google Calendar, Vehicle Health Report and Connected Search. Automatic Collision Notification, Drive Zone Alert and Remote Engine Start/Stop are other amenities in the InTouch suite. For only $450, you could activate a 4G Wi-Fi network inside this premium INFINITI crossover SUV. If you want to have reliable assistance on the road, then choose the Deluxe Technology Package that costs slightly more than $7,000. This high-end package comes with the Intelligent Cruise Control, Backup Collision Intervention and Forward Emergency Braking. Other accident-avoidance systems in the QX60 include the Blind Spot Intervention and Distance Control Assist. Besides being more expensive, the Audi Pre Sense suite lacks some of the active safety features that are available in the QX60 model. A sequential lighting system comes on when you open the driver’s door of the 2018 INFINITI QX60. Overhead ambient lights also turn on when you hop inside this crossover SUV. The Entry/Exit Assist makes minor adjustments that facilitate getting into and out of the vehicle. Featuring several modes, the second-row seats could be easily adjusted and configured depending on desirable cargo and passenger combinations. The third-row seats can be reclined to provide extra comfort on long trips. Another smart amenity in the QX60 is the motion-activated liftgate that eliminates the need to press a button on an electronic key fob. A simple kick of the rear bumper will automatically open this smart liftgate. 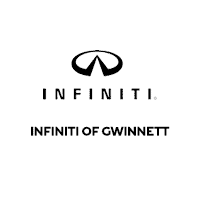 Come to INFINITI of Gwinnett for a test drive in the 2018 INFINITI QX60. You’ll surely figure out that this INFINITI crossover SUV beats the 2018 Audi Q7 in numerous categories.